At St Paul’s C of E Primary School we take safeguarding very seriously. Please click the link below to view our Safeguarding and Child Protection Policy. If you have any concerns regarding the safety of a child, please speak to our Designated Safeguarding Officer – Mrs Finney or any of our Deputy Safeguarding Leads – Mrs Manfredi, Mr Swindell or Mrs Winwood. 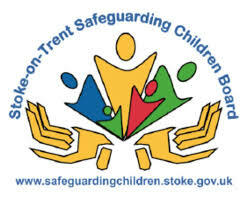 Below is the link to Stoke on Trent Safeguarding Children Board where you will find lots of further information.